It’s been nearly two decades since the Swiss Women’s National Team has skated in international competition without Florence Schelling as a part of their goaltending depth chart. She’s been a member of the national team since she was 13, skating out to represent Switzerland in four different Winter Olympics and 11 different World Championships. Now, at age-29, she’s hanging up her skates. Schelling announced her retirement on Thursday morning, posting a heartfelt blog about her memories of the sport and hinting at news on her future in the process. A native of Zurich, Switzerland, Schelling remains one of the most groundbreaking names in hockey 25 years after she began to play the game. She skated for the boy’s program as a part of the Zurich Grasshopper Club (which merged with the ZSC Lions youth program when she was a teen), playing with the U20 men’s team starting at age-13. Her first year as a U20 was also her first year as a member of the women’s national team, although her first World Championships experience would ultimately be cancelled by the SARS outbreak. 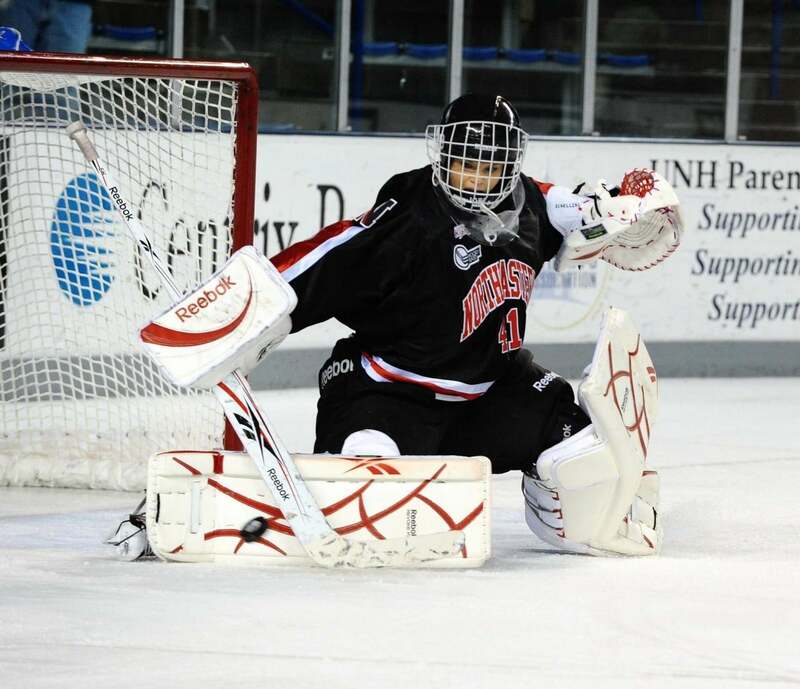 She would get her next chance to skate out with the women’s side in 2004, though, posting a .955 save percentage through three games at the tournament to make a name for herself years before she’d even truly explode onto the scene. Schelling’s first Olympic experience came in 2006, when she appeared in three games for Switzerland at the Torino Games to the tune of a .933 save percentage. From there, she’d go on to post remarkable numbers at nearly every level of play she encountered; from four years at Northeastern and a stint with the CWHL’s Brampton Thunder to a pair of years playing Men’s Swiss Division 1 hockey with Bülach and a stellar career in Sweden for Linköping HC’s Women’s side, she easily adapted at a multitude of levels from the start of her career to the finish. Beyond her on-ice work, though, Schelling has been equally groundbreaking in her efforts to elevate the exposure of women’s hockey, the Swiss game, and goaltending on the whole. After an MVP tournament at the Sochi Games in 2014 put her on the map on an international level, Schelling developed a following overseas outside of her fans from playing NCAA. Although she had initially planned to retire after the 2014 games, her success with that team – they took home a bronze medal, cementing Swiss hockey as a legitimate competitor four years before the men’s side took home silver at the World Championships this May – inspired her to give another four years to the game in hopes of playing in yet another Olympic tournament. This year, she backstopped Switzerland one final time, putting up a .942 save percentage in five games to finish the tournament in fifth overall and first in their group. During those final four years of her career, she became an advocate for improving the quality of development in the Swiss hockey system, pushing to get an equal shot at playing in the higher levels in her country before her ultimate move to play the women’s game in Sweden. She also started blogging about her experiences starting in April of 2017, sharing everything from her makeup tips as a pro athlete to her methods for tracking her own stats and advice on how to balance school and professional sport during her graduate work. Although she hasn’t revealed what she’ll be doing in retirement, it’s hard to imagine that it won’t be something just as compelling as what she’s been doing so far.